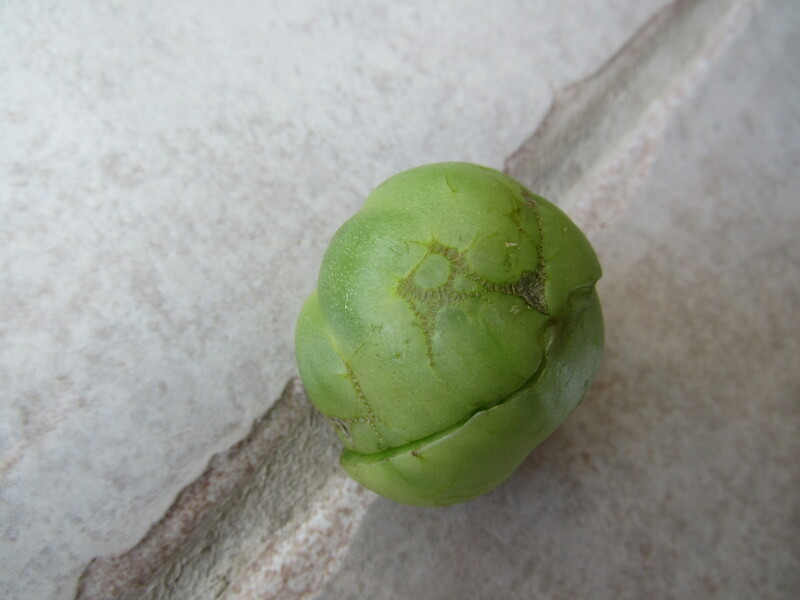 I've noticed a number of these strange lines on some of my green beefsteak tomatoes this year. It appears to be a scab of some sort, as it doesn't go beneath the surface. Although it's been a hot year, the plants have been irrigated well. There aren't any markings on the rest of the plant or on the leaves, and none of the other varieties of tomatoes seem to be showing the same markings, although they are a fair bit smaller still. It looks like some of it is zippering. That is when the leaf sticks to the developing fruit. It leaves a scar that looks like a zipper.